Superbe work japetus! Looking forward to seeing more. Just had to make a post from my new kindle fire! Here it is! Finally after lots of renders, rerenders, and waiting, an acceptable version of my Aries flyby is done! 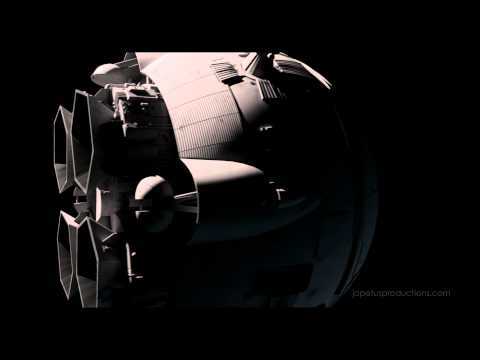 It was rendered with mentalray in Max 2012 and composited with Nuke. The stars were rendered with max's Video Post (the only thing I use Video Post for). The moon is also a 3D object in Nuke so it was easier to revise rather than rendering yet another pass. I can post composite details if people are interested. I'll probably revise this a little later, feel free to comment and critique. Enjoy! This is looking really good japetus. The detail you put into the Aries is amazing. Amazing what a person can do these days compared to a whole team of effects artists in 1968.
japetus- So glad you did something spectacular with the detailed Aries photos I sent you. Stunning work- A huge effort! I'd love to see a few more still shots! Thank YOU Phil! Those really helped me bring out accurate details. Without those it wouldn't have been as successful! I plan on doing a few more stills, should go much faster now that I'm not making an animation! It was great fun to see the interior and cockpit of your Aries in the flyby! I'm thinking of throwing in some Adagio for Strings in here... what do you guys think? Here's a sample if you haven't heard it, quite beautiful and used in the awesome game "Homeworld"
Here's a frame grab of the new animation. This one will be full 1080p ( I actually did some rendering at almost 4K because of aliasing problems that aren't totally gone yet, but our farm has been busy with real work lately ). On this version I color corrected some more and worked on the sun flare. Also smoothed out the camera pan since there was a a few frames where it just stopped moving. Lots of other little things... a few material corrections through rendering masks. 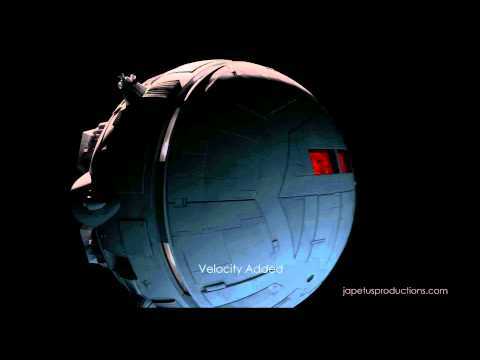 At long last, a finished flyby animation of my Aries 1-B model from 2001: A Space Odyssey. The Aries was modeled in 3ds Max and rendered with mental ray. I did the compositing with Nuke and After Effects. Hope everyone enjoys! Critiques welcome too. Wow, the music you chose really fits. It creates such an interesting mood. :thumb: I also think that the work you put into the interior sets really makes this pop. Ahhh! This is the Aries Fly-by I've always wanted to see! Stellar Work Japetus! I like it much. great work! Huh, youtube really did a number on that mask pass, yikes! Here's another interesting test I did today. In wanting to show more of my model, I rendered a spherical image and then made a flash VR from it. You'll need Flash and Java , to be able to view this (which I think most computers have nowadays) but I thought it was pretty neat! I'd never seen this thread before but you did such ASTOUNDING work I can't believe we haven't seen more of the Aries 18. Second, that VR: outside of some perspective warping that just seems to come with the interface, it really felt like I was IN there looking around. It's so bloody cool! Here you go! A VR of the passenger area! That's oh so very cool! Couple of weird artefacts on the ceiling, probably some kind of camera or flash error, but it looks odd. otherwise a superb set! Brilliant! Brilliant brilliant well done! I so want to see that updated with current luxury airliner design, livery and seats, it would look redonk. Very nice work Japetus. You have taken your Aries so much farther than mine, that mine now feels like an incomplete model. You have an amazing attention to detail. My only crit (actually two) is that the Zero Gravity Toilet sign seems a bit big compared to what I remember of the movie and you need to have a Sumo wrestling match on the monitor. Made an update! Fixed the render glitch on the ceiling (it was stupid mr interpolated reflections going bad), added a couple screenshots to the tvs, but not all of them. Just made it a bit more random. Also did some glow and color correction and I think it looks really nice now! Never been completely happy with the chairs, they were made to be a little bit simple. However that's more work than I want to do on this right now. It's been fun making this second spherical though. Enjoy! Eggobox style bump?? Do you have ref for that? Not quite sure what you're referring to! Done the spherical renders for work in the past.. can be a pain sometimes.. but this look excellent! Now that I'm thinking about it more, I think i'll make some seatbelts too, maybe spend a bit more time on this. Wife will be gone for a week soon, should have some freed up time .